Any ESA member is welcome to contribute to the ceremonies we have placed on-line. Contact the Webmaster to make your contribution. SET THE TABLE AND THE MOOD FOR THE CEREMONY! Be creative with each of the ceremonies that you have at your meetings. You do not have to limit yourself to what has always been done. Adapt the ceremonies to the individuals that are involved. Adapt the ceremonies to the different themes you are working with., however what ever you do MAKE IT MEANINGFUL. Limit the length of the ceremony to an appropriate time frame. Sometimes the simplest things are the most impressive. Ceremonies will bring life and meaning to your meetings and make them events to remember. IT IS ALSO A TIME OF MEMBERSHIP RENEWAL. Use feeling and emotion to reach out to your membership. Humor can be used as well. Add a personal touch to your ceremonies by adapting the ceremonies to articulate the sister’s individual personality. The better prepared you are the more impressive the ceremony will be. This should be an exercise that draws your membership closer to ESA not drive them away because of poor preparation. IT IS AN HONOR to do an ESA ceremony . Any ceremony here can be changed and adapted to fit your needs. STATE INSTALLATIONS TO DRAW IDEAS FOR YOUR CEREMONY. Protocol is defined as ceremonial forms and courtesies that are established as proper and correct, in official dealings. Protocol, etiquette or good manners, each is consideration and mutual respect based on a few simple rules and a little thought. Actually then, protocol is the formula, either written or unwritten, of graciousness in presentation with special regard to accepted precedent. Introductions and presentations can and do take a great deal of time, but they are a must for gracious courtesy. ESA protocol order of introductions should be: ESA Headquarters Director; International Council Officer s­elected, then appointed; Multi-State Past Presidents; State Council Officers-elected, then appointed; State Council Past Presidents; City Council Officers-elected, then appointed; City Council Past Presidents; Chapter Officers-elected, then appointed; Chapter Past Presidents. Guests, be they members of ESA, or otherwise, take a bit of researching. A gracious introduction should include a bit of personal history, if nothing more than she is the mother of twins. Actually, this is where you have the opportunity to explain to the audience why this particular person is there and what her background is, to make her welcome. There is no need of a full length biography, but do have something to say besides a name and offices held. Remember that your job is you introduce the speaker, not to give a speech. The purpose of the introduction is to establish the speaker's authority to speak on the subject she has been assigned. Consequently, if he or she has a two-page biography ready for you, it's your job as the introducer to pull out whatever background information relates specifically to their being an authority on this particular subject. Please don't think you need to be funny. If a personal anecdote is related to the speaker, or will somehow make her more effective with they audience, it may be used, if it is short, but don't think you need to be a comedian in order to be effective. Give the speaker's name only one time. Her name is the very last thing you say in any introduction and must not be said earlier. Remember, the mention of the speaker's name is the cue to the audience to applaud, the speaker to stand, and you to sit down. There are also some courtesies of dress that should be acknowledged as part of ESA protocol. Even though we are living in a so-called casual world today, we should not forget our manners. Our dress has become very casual, be we should use a little protocol particularly on occasions when jeans and pant suits are out of place. Such occasions are present in our chapters, city councils, district, and state levels and there are two important occasions when you should be especially mindful of dress. When you are planning a special event, such as a pledge or jewel pin ceremony, suggest that your members dress for the occasion. Your new members will want this evening to be "special" for them, and it is up to you to see that they are not disappointed. A pledge or jewel pin ceremony presented to a group of women dressed in their "Sunday Best" is a lovely occasion. When you have visiting dignitaries in your midst, you should also declare a "dressy" occasion. There is no better way to welcome a visitor than be showing them he courtesy of dressing for this "SPECIAL" occasion. Remember to give guests the courtesy of: Time, place, type of dress, what you want them to do (concisely), and all other information that will help them do the best job for you. If a VIP is coming for installation, do give her the correct office to be installed well in advance, she likes her ceremony to be done correctly and wants to avoid last minute "fill ins" or surprises! While the rank of officers is the same as listed in introductions, you can't possibly seat them all at the head of the table, and you must use your best judgment. The presiding officer should be seated in the center, with the most honored guest on her right. The ranking State or International Council Officers, Foundation representatives, guests of honor, executive board and Jr. Past President are musts. If an invocation is part of the program, the person giving it is also seated at the head of the table if possible. Honored guests are seated in order of their rank-placed to the right and left of the lesser officers. For those that cannot be accommodated at the head of the table, arrange a special table immediately adjacent to the head table. PROTOCOL IS A VERY IMPORTANT WORD AND HAS SPECIAL MEANING TO OUR ORGANIZATION. LET'S USE IT AGAIN AND WORK TOWARD BRINGING IT BACK INTO OUR SORORITY LIFE! State Board Meetings are not to be a financial burden to the hosting District/Chapter! _____ District Chair working with the 1st Vice President/President Elect to plan for her upcoming year's State Board meetings, should make the original hotel commitment. She needs to make certain the incoming District Chair has all the necessary information to continue the plans for the state board meeting. She will need to work with the local chairperson in the community where the meeting is to be held if there is someone else involved. Make certain the 1st VP/new Kansas State President shares in the making of plans for her meeting. _____ District chair of host district may act as general chair for the meeting. She should be aware of overall arrangements, maintaining contact with the State President about the progress of the State Board Meeting arrangements. ______ Reserve a block of hotel and meeting rooms (on ground floor, if possible) that will be needed one year or at least six (6) months prior to the dates of the meeting. (This needs to be done as soon as possible as the Chapters/District give a commitment to the 1st VP/President Elect to host one of her state Board Meetings.) Block some rooms (10 to 15) for Friday night, many of the state officers find it easier to travel on the evening prior to the Executive Board Meeting, and will arrive to spend the entire weekend. ______ Block as many rooms with two double beds as are available for Saturday night, up to thirty (30) or more when the meeting is centrally located and notably well attended by both board members and guests. ______ Attempt to negotiate a flat rate for guest rooms blocked for the board members for the weekend. The room type will vary, 1 double bed, 2 double beds, a triple, or king size bed. ______ The host District Chair will reserve the State President's room/suite for both Friday and Saturday nights. ______ Try to get the State President's room/suite complimentary, if you are unable to do that, attempt to negotiate a reduced rate. ______ If the State President's room is not comped, a registration fee of $5.00 will be charged by the host district to defray expenses for the State President's room/suite, meeting rooms, and for required equipment that are charged to the district by the hotel. ______ Provide the president, in writing, the hotel agreement to comp her room/suite or to give a reduced rate for her room/suite. Also provide in note to the President a statement of how expenses for her room/suite will be paid, so she does not have difficulty checking in or out of the hotel, and there is no misunderstanding about payment for the room. ______ The room/suite reserved for the State President should allow ample space to accommodate the executive board meeting and other committee meetings the President holds during the State Board weekend. If a suite is not available at the hotel, an additional room should be reserved for those meetings located adjourning or convenient to the President's room. ______ Determine the hotel deadline for members to make room reservations, when the hotel will release the block of reserved rooms if reservations have not been made and confirmed by members. ______ Discuss any special or unusual requirements the hotel might make for the guests. For example, are they able to make long distance phone calls from their room with a credit card or using an 800 number, charge for phone calls? Determine method of payment the hotel facility will accept; personal check, credit card, and/or cash only. See if the hotel has the ability, or is willing, to split room charges among the guests. ______ Determine hotel policy for cancellation of meeting due to inclement weather. Make arrangement with the hotel and State President for an alternative weekend for the meeting if cancelation is necessary due to inclement weather. ______ Expenses for the State President's meals and fees will be covered by the member registration fee. ______ Place a welcome note or token gift in the room/suite of the State President. 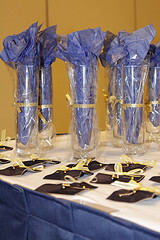 Special welcome gifts, gratuities provided by the host district for the state council officers may be provided to each member of the executive board; this is optional and usually only done at State Convention. ______ Door signs should be placed on the doors of officers and committee chairs if allowed by the hotel. The signs should include ONLY the office name, NOT the member name for security purposes. ______ Any monies from the registration fee left unencumbered after all expenses have been paid, revert to the state treasury to be held in escrow as a budget line item to be used for subsequent state board meetings. The treasurer will itemize those funds in a separate line item in her records so the funds are made available to the next District hosting a state board meeting. The state treasurer is holding monies in a special line item in a savings account left from previous state board meetings; that money is to be utilized for your board meeting if the funds generated from registrations are unable to meet your expenses. ______ Decide, with the State President, on food or menu choices for the meals. Determine the meal costs, including the cost of tax and gratuity. ______ The amount charged for the meals needs to be rounded up to the next dollar amount, or extra added, to cover cost of decorations, name tags, etc., which might be incurred by the host district/chapter. ______ Plan the type of seating with the facility; plan additional tables and seating for members present and not eating. Discuss time of meals; decide if meal is to be before or after the meeting, cafeteria or sit-down type of service. Check hotel's meal reservation deadline. ______ Determine % of additional persons who could be served meals at registration, the percent over the original number of meal reservations the faculty can accommodate without additional charge above negotiated rate for the meal. This way you will be prepared to tell members who might decide to eat with the group at that last minute. ______ Determine whether meal costs can be refunded if the member is unable to attend. Determine deadline for refunds, if there is one. ______ If meetings are off site from the hotel facility, that information should be clearly stated in the News and Views article preceding the meeting to allow attendees to plan in advance. ______ A registration form and description of agenda should accompany the article in the News and Views prior to the meeting. ______ Any special arrangements for the weekend should be stated as soon as the first plans are made - Tea and Tour in November, auction space and auctioneer, etc. ______ If the activities for the weekend call for a special kind of dress to planned events, members should be notified in the outline of plan in the News and Views article. ______ Provide the deadline required for special requests for tables, etc. made by committee chairs or officers in the News and Views article and to the State President in time for her board letter. ______ The host District/Chapter Chairperson is also responsible for giving a welcome at the board meeting. ______ The District Chairperson is also responsible to arrange for the host city and/or hotel facility to give a brief welcome if they desire to do so. It is good public relations to ask them to provide this service to the organization visiting their city. ______ If welcomes in addition to that given by the District Chair are to be given, District Chair should notify the State President providing the names, title and special information about the individuals for proper introduction of dignitaries by the chair. ______ The hotel might be asked to use their marquee to welcome ESA to their facility and community. MAPS AND DIRECTIONS SHOULD BE PROVIDED TO THE MEETING PLACE/HOTEL. ______ They should accompany the News and Views article. ______ Goodie bags from the community businesses and/or the Chamber of Commerce welcome bags are a nice touch, but not required. ______ Arrange to have the equipment available and operational that is needed for the meeting. ______ Determine if there will be a charge for the hotel equipment. Avoid if possible or negotiate reduced fees for the additional cost charged by the hotel services or equipment required for the meeting. ______ Check to determine if there will be a set up fee for preparation of the meeting rooms by the hotel. Determine how many meeting rooms will be required and make sure they are available at the facility. Arrange for a raised head table, if possible. ______ Check to see if the meeting facility has standards to hold the flags. Is a United States flag available for our use at the facility? ______ Determine how the President's banner can be hung. ______ Arrange for a podium and microphone at the head table. Plan for hanging the ESA banner in front under the podium. A centerpiece is also usually placed at this spot. The head table centerpiece is an appropriate gift which might be given to the State President as a token of appreciation for all she does. ______ Arrange a table outside the meeting room to be used for registration of guests. ______ Arrange for a table inside the meeting room for committee chairpersons to display and sell or so1icit contributions, if such is requested by the chairperson by the deadline you establish. ______ Decide any special entertainment or fun activity for the evening, if that is requested by the State President. State Committee Chairpersons may be in charge of evening entertainment. ______ Decorations and favors, if used, are the responsibility of the host district/chapter. ______ Stay in touch with the State President and hotel on a regular basis. ______ Confirm ALL arrangements with the hotel/meeting facility at several time increments prior to the State Board Meeting dates, with original arrangements and reservations made at least six months prior to the meeting. Then confirm all arrangements at one month, two weeks, and again two or three days prior to the meeting dates. ______ Chapter or District should payor waive the registration fee and or cost of her meal for the State President whenever she visits. ______ Chapter or District should offer assistance in finding hotel accommodations for the State President, if her visit requires an overnight stay. ______ MAPS AND DIRECTIONS SHOULD BE PROVIDED TO THE MEETING PLACE. They should accompany the invitation. ______ Attach a name, phone number and e-mail on the RSVP line, so individuals you are inviting have a way to contact someone if they have questions. ______ The RSVP line on invitations to elected officers and district chairpersons should read, "RSVP Only if planning to attend." ______ Ask officers or guests in advance of the meeting date when you expect them to do a ceremony during the meeting, or to speak on a particular subject. This is to allow them ample time to prepare to do something special for you chapter or district. They are honored to be invited to provide special ceremonies. ______ A member should be prepared to welcome the guests at the door upon their arrival, introducing yourselfto the guest. This person should see that guests are introduced to at least a few other members in attendance at this time, if possible. ______ The President or Chairperson should introduce the guest(s) to the membership, telling something about the guest, which implies she needs to be given information about the guest/speaker in advance so she can prepare her statement and introduction. ______ If the group is relatively small, it is cordial for the President or Chairperson to take time in her agenda for the membership to introduce themselves to the guest, giving their name and a brief fact or two about themselves.